Last Friday, it was reportedly the warmest Halloween on record which was great but since then, the temperature has dropped dramatically and I can’t remember a day that I haven’t had the heating on full blast since. Needless to say, I’m not looking forward to the bill coming through the door. My first cold weather essential is a thick coat. I love nothing more than layering up thin pieces but eventually I have to resign myself to the fact that it is far too cold outside and I need a thick winter coat. My pick this year is the So Fabulous Faux Fur Hooded Parka. Every time I’ve ventured outdoors this week I have really felt the benefit of this super warm jacket and I have a snuggley outfit post coming very soon. I bought the khaki green colour because I thought it would be a welcome change from black and it would compliment the wine, black, white and dark green colours that I’ve been wearing recently. I have made a concious effort to try to switch up my wardrobe this autumn and I really think that it is paying off as I am loving trying a new style of clothes. This coat is also available in black and navy in the parka style from Very and I would really recommend it. It has dark brown PU trims and antique brass hardware but it is the hood that I love particularly as the inside has a super snug shearling lining with a faux fur trim. The waist has a drawcord that enables you to synch the coat in to create more shape in the coat at many women’s smallest part, making it very flattering. I’d recommend looking for a winter coat that you’re going to get the most use out of and in a colour that compliments the majority of your winter wardrobe. Choose something that will suit your style most often so if you tend to dress more casually during the winter then opt for a more casual one like I did, if you’re more of a smart dresser, perhaps if you have an office job and go out a lot on the evenings, then opt for a more smart coat such as this funnel neck coat. I know it is thinking practically girls but that doesn’t have to not be stylish too! To wear underneath a winter coat, a good selection of knitwear to choose from is absolutely essential. Opt for warm, high quality knits, textured styles and a variety of colours so you have lots to choose from and make sure you select a style that you feel makes you feel your most beautiful. Knitwear doesn’t have to drown you or feel boring, it can be stylish, shapely and on trend as well as warm, at the same time! I tend to look for either v necks as they are the most flattering shape for me or round necks if they are long in the body. I also love jumpers with embellishments and jewelled necklines as I find they are great at wearing at night. I prefer to choose warm knits that aren’t too heavy so that I can add a cami or top underneath. Layering slightly thinner knits tend to keep me warmer than wearing just one thick layer. My favourite jumpers at the moment are the one I have shown in the video which is the So Fabulous Stitch Interest Jumper (very Ralph Lauren esque I’m sure you’ll agree), Lovedrobe Leopard Star Feather Knit Jumper that many of you have been loving in my Instagram photos and the Brooke V Neck Oversized Knitted Jumper. All of these are jumpers that can be layered up with a little cami underneath and a winter coat on top. If theres one thing I can’t abide about the winter, it is the snow. While it is pretty to look at and play about in, it is not practical in the slightest, especially when I have to drive in it. What I hate the most about the snow is the grey slush as it melts which results in me ending up soaking wet with my clothes stained from all the dirt that is in the slush and just generally feeling fed up. I face snow days head on by wearing wellies in the winter and mine are from Jileon. Wellington Boots are the best footwear for snow days because they keep your feet completely dry and warm too, if you pop on a pair of thick welly socks. In the winter, I wear wellies when I’m taking our dog out for a walk when it has been raining as I hate the muddy ground and when I am running errands when it has been snowing. The only other shoes I could wear are my UGGs and leather boots that would end up ruined so wellies are the best choice for me. They’re very practical and provide lots of grip underfoot which is a necessity when the ground is icy and slippy. I think they’re particularly useful if you have an office job where you need to wear smart work trousers to work as you can wear wellies to work in the snow with your trousers tucked in and then slip them off when you get to work and pop on your heels or work flats. That way, you’re dry, clean and looking professional. I have the Jileon Red Spotted Wellies which are from their extra wide fit Wellington Boot range. These are the best wellies I have had because they fit so well. While I am often told that I have nice legs, it is more to do with their shape than size as my calves are quite wide and I always struggle finding boots to fit in general, let alone Wellington Boots. These ones have more than enough room for me as they can be adjusted up to 53cm wide. They’re so comfortable and stylish too. I’ve just ordered some mittens and a headband from the Jack Wills Outlet store and when they arrive I’ll be doing an outfit post to show you how I wear them so follow my blog via Bloglovin to make sure you don’t miss the post! I genuinely believe that I spend more time in my PJs than I do any other type of clothing and I’m not ashamed to admit that. As soon as I walk through the door, I love nothing more than stripping off (make up as well as clothes included!) and popping on my PJs before scraping my hair up into a questionable pineapple on the top of my head. It goes without saying then, that nightwear HAD to feature in my autumn fashion essentials. My latest PJs are by the brand Sorbet and they’re available at Very. When choosing nightwear, I like to go for styles that aren’t very restrictive and that are lightweight, even in the winter. I don’t really like to choose very thick PJs because I find that when I have the heating on in the house, or my slippers and a dressing gown, I am warm enough and when I go to bed I have a super thick duvet on so if I were to wear very thick PJs they would keep me warm while I am walking about the house but when I wake up in the morning, I’d be far too hot. The latest ones that I have bought have two longline tops in the pack and two pairs of leggings, you can find them here. They’re really easy to move around in them, feel cosy to wear and they’re not restrictive so I can sleep comfortably in them. In the autumn and winter, I tend to have more preplanned evenings out scheduled in my diary as we tend to catch up with friends and attend Christmas parties at this time of the year. Having a good selection of party dresses in your closet is essential for this season as they can help you to look and feel put together and ready to party, even if you haven’t had that long to get ready in between all of that Christmas shopping I’m sure you’ll be doing! The dresses I show in the video are two I have just bought, the Lovedrobe Sequin Pleat Skirt Skater Dress and the So Fabulous Sequin Tunic Dress. 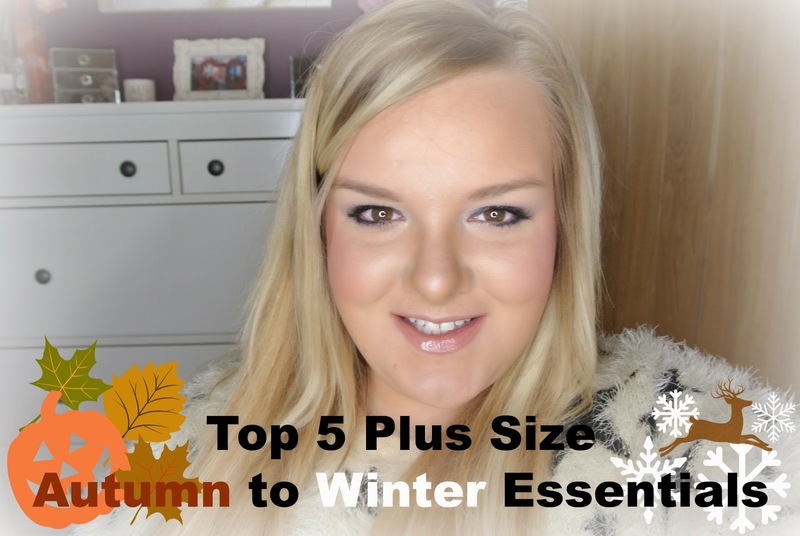 What are your top autumn to winter fashion essentials? Next Post News From Strictly!